The Norman Staircase is one of the most painted, photographed and admired sites in Canterbury. As its name suggests it dates back to the 12th century. For formal occasions the School traditionally gathered here. Archbishops of Canterbury addressed the School from the Staircase during Visitations. 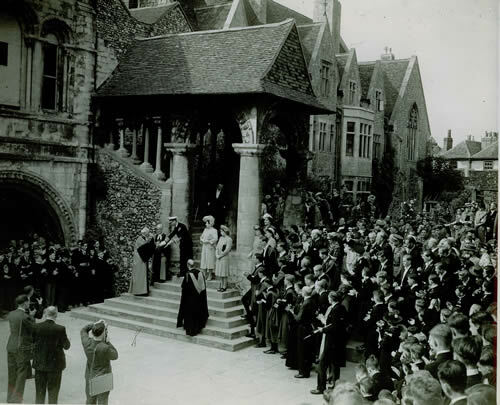 King George VI, accompanied by Queen Elizabeth and Princess Elizabeth, presented the School’s Royal Charter to the Dean on 11 July 1946.